I am so excited to talk blogging shop with you this morning. We returned home from vacation this weekend. We left sunny 107 degree Phoenix for a 47 degree Sunday morning in Michigan. Whew! But ultimately we are extremely lucky to be warm & safe in our home. We are keeping so many thoughts & prayers with those affected by Hurricanes Harvey & Irma. If you don’t mind, I wanted to go behind-the-scenes this morning with how to set up a blog. I receive so many emails asking about blogging. One of the most common ones is “How do you even create a blog?” It made sense to tell explain the process in screenshots! Without further ado, I’d love to have a chat about starting a blog. Grab a hot cup of coffee and let’s talk the simple steps so that you can have your own little piece of internet heaven. While I call it wonderful, it has been frustrating, gratifying, but most importantly, enjoyable. 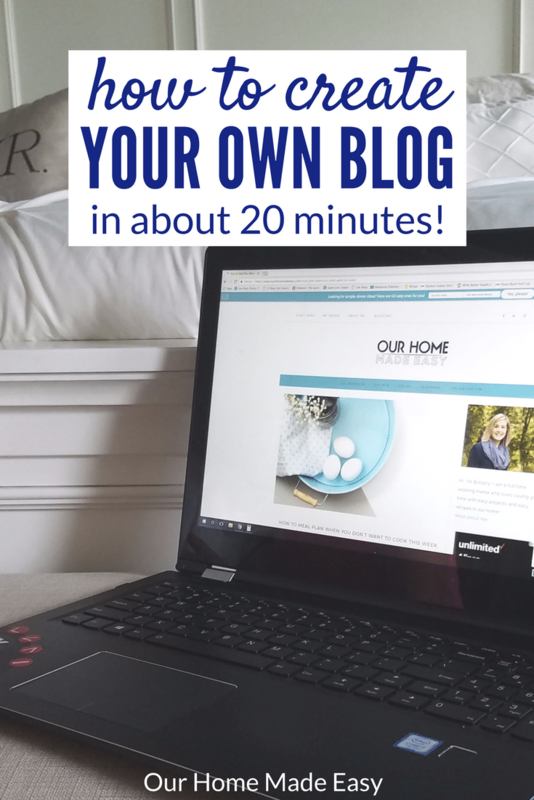 And while discussing the best parts of blogging, I’ll show you how you can start a blog in about 20 minutes time for super cheap! And it’s risk free, which was perfect for a busy mom who doesn’t have a lot of spare time to experiment with technology! I know you may be thinking…. “What is so special about me? What can I say that hasn’t already been said?” I have to tell you, I had these exact same concerns when I started my blog. But you know what? Gosh, it’s been a blast and I can share my unique perspective on our home. If you haven’t noticed, my unique spin is to utilize my Industrial Engineering background and be detailed in my step by step tutorials. There is plenty of room for all of us online. Have you ever felt exhausted thinking about your to-do list each night or your wish list of projects around the house? At my blog Our Home Made Easy, I write about practical home advice to save you time, which often includes easy DIY projects, home organization, and simple recipes. I’ve found that so many women struggle with managing their time at home, which is why my passion is providing easy meal ideas and real-mom approved projects. When my readers see a project on my blog, she knows that she could easily complete it. One of the things my readers love the most is that my background is productivity improvement and being a mom of 2, they feel comfortable that I ‘get it’ when it comes to living a busy life. Does that sum up OHME pretty well? What could be your niche? Do you love being a weekend warrior at DIY projects? Are you the queen of beautiful baked goods? Do you want to share your experiences as a parent? Are you great at lesson plans? Do you have a booming MLM business whose clients would love tutorials? Can you cook quick and healthy meals? Are you a master decorator of homes? Do you have an eye for helping businesses? Are you great at offering career advice? Do you like making items with your hands? General Life — you’re interesting! There are so many topics that only you can discuss! Plus, have I mentioned that you can monetize your blog?? Making money isn’t immediate with your blog, but in the long run, with lots of work, your blog can be extremely profitable. Imagine what you could do with extra spending money each month. But before you can think of monetizing a blog it’s imperative that you are self-hosted! What does that mean? It means that you don’t choose a free service from Google’s Blogger or WordPress.com. Either of those options can shut your site down… at any time… without notice. YIKES But if you self-host you are in complete control of your little space on the web and that leaves you every option to write about / sell products / monetize through advertisements and affiliate marketing. 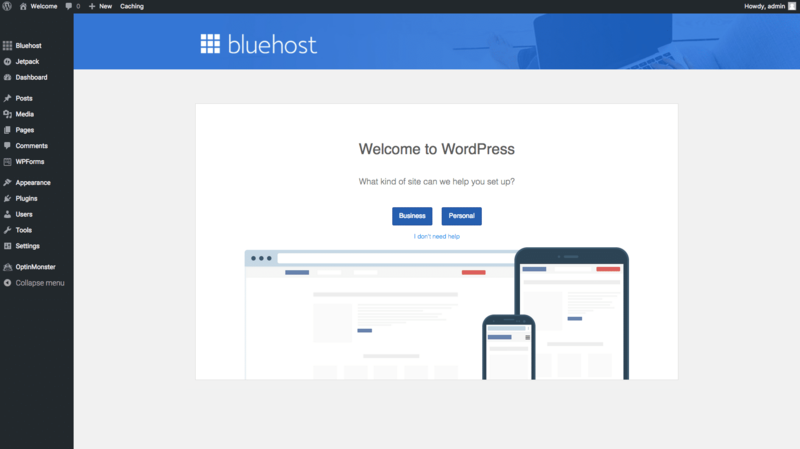 I recommend starting a blog with Bluehost because that is where I started. 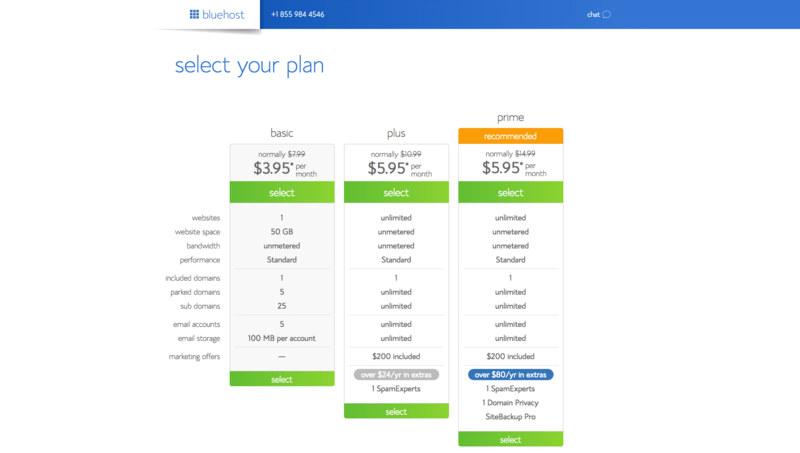 Bluehost is incredibly affordable (it’s a steal at $3.95 a month with my discount link!) for new bloggers and we all know that it isn’t fun spending any money unless you know that you’re going to love blogging! And you will enjoy it, just as I have. 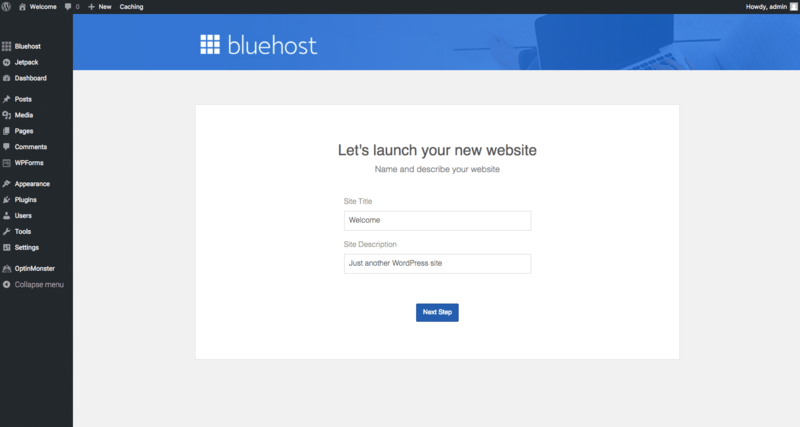 The best part of starting a blog on Bluehost? They offer a money back guarantee. It’s the best and actually happens. Offers a Money Back Guarantee if you decide blogging isn’t for you! In the next step you’ll sign up for a domain. This is where you enter your preferred website address. I can’t recommend enough that you choose a 12 month or longer hosting plan. You’ll get your domain for free for the first year! Related: How I Increased My Blogging Income 20x in Just a Few Months! Next, you will choose your plan. When I began blogging, I was on the ‘Basic’ plan. It was more than adequate when I began blogging. You can upgrade anytime. 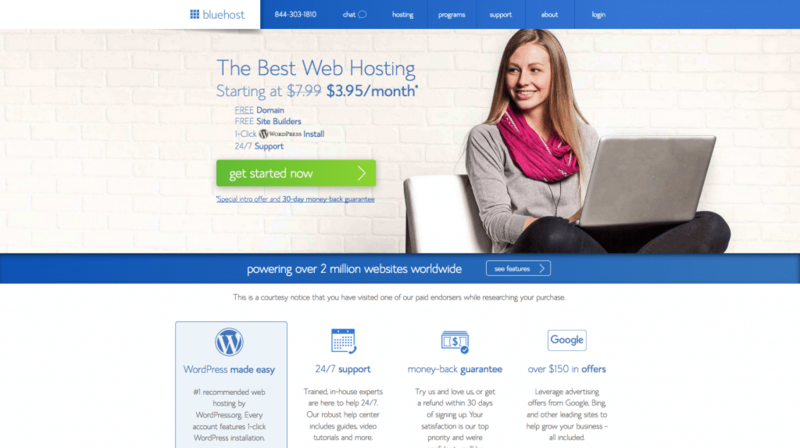 Bluehost will offer you several other services, you don’t need them. What I recommend? The Domain Privacy and Back Up Pro options. My only complaint with Bluehost while I was with them was the up-time of my website once my blog really took off. Until that time (the first 10 months), I took advantage of the inexpensive hosting and learned blogging. Now, you’ll be asked to enter your account information. You’ll be prompted to check out. 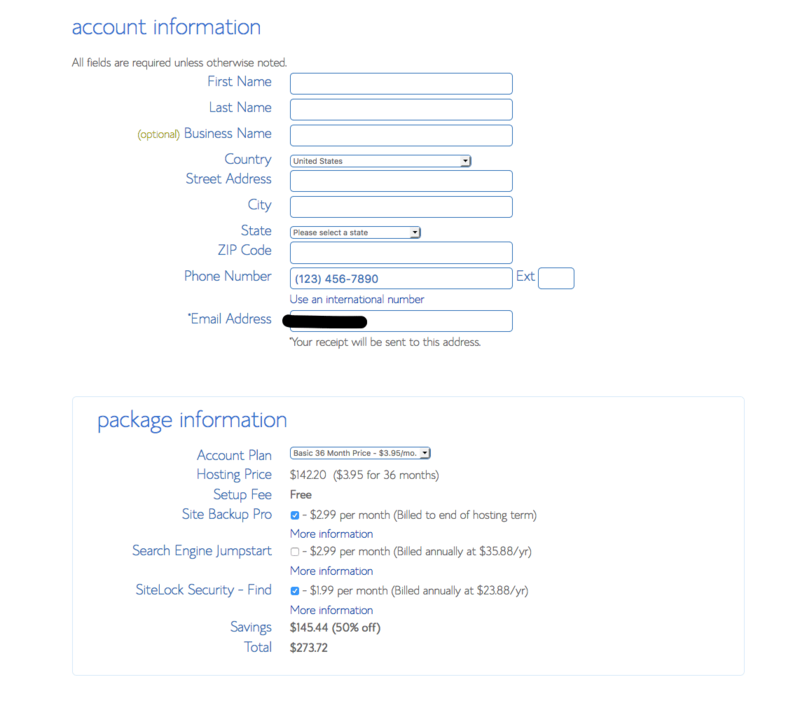 When you sign up for hosting, you’ll pay for all the months at once. I tell you not to discourage you, but to avoid you being surprised at checkout. 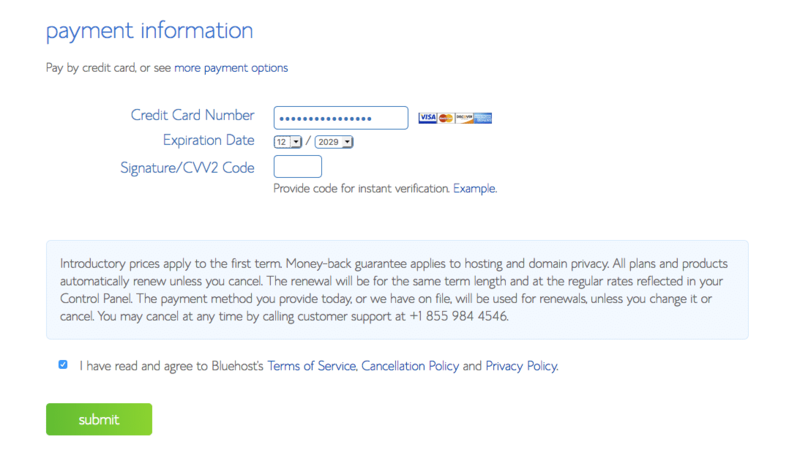 Take a look at Bluehost’s money back guarantee for additional information. Congratulations! You’ve signed up for web hosting and have your domain! 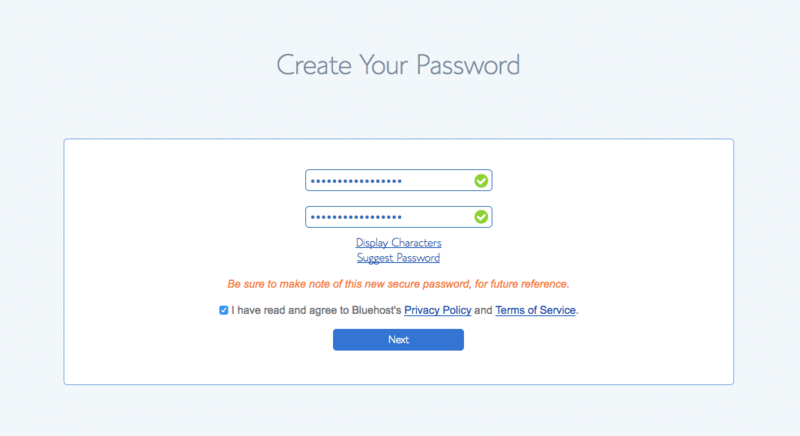 Now you will be emailed your Bluehost account information. Keep this email filed away for future days. It contains information that you will find valuable if you make changes to your site. If you’re like me, I referenced them often in those first weeks of blogging. The last part is extremely easy and will ultimately create yourself a blog on WordPress! First, you will be prompted to choose a free theme. A theme is how your blog will look once you start posting. It’s what makes your blog look like a well designed page. 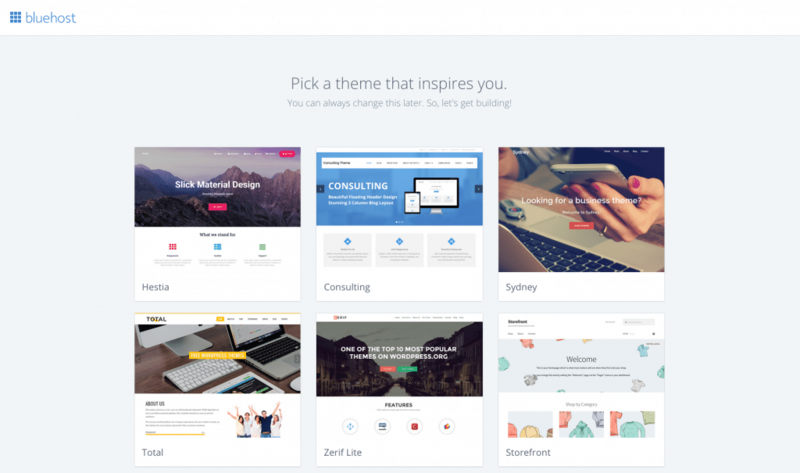 You can find lots of free themes or paid ones. Right now, choose a free theme and continue on with setting up. In the future, my favorite themes are from Restored 316 Designs (I’m using the Darling theme!). Once you choose a theme you’ll be ready to start writing. This is where it gets exciting! Now you’ll be taken to your WordPress Admin Panel. Choose ‘Business’ as your WordPress site. You officially have a blog! 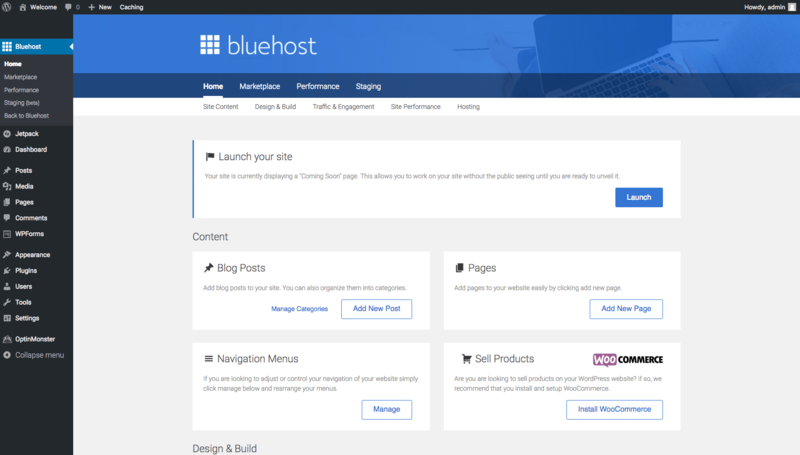 I love that Bluehost now includes a “Coming Soon” page as a default. It wasn’t an option when I started. Choose your domain from the drop down (it should be the only option). Continue with the prompts in MOJO Marketplace. You should receive an email with your WordPress.org login. Keep it stored nearby! Avoid the top 9 mistakes all new bloggers make! How I Increased my Blogging Income 20x in Just a Few Months! 17 Secrets of Successful Bloggers! Does Blue Host bill all up front or monthly? Also is it hard to move an existing blog? I’m thinking about starting a blog and on one of your recent posts you had a link to a blog or article that went into detail about how to choose a name for your blog, but I can’t find it. It was written by a couple, I believe. Do you remember who it might have been?